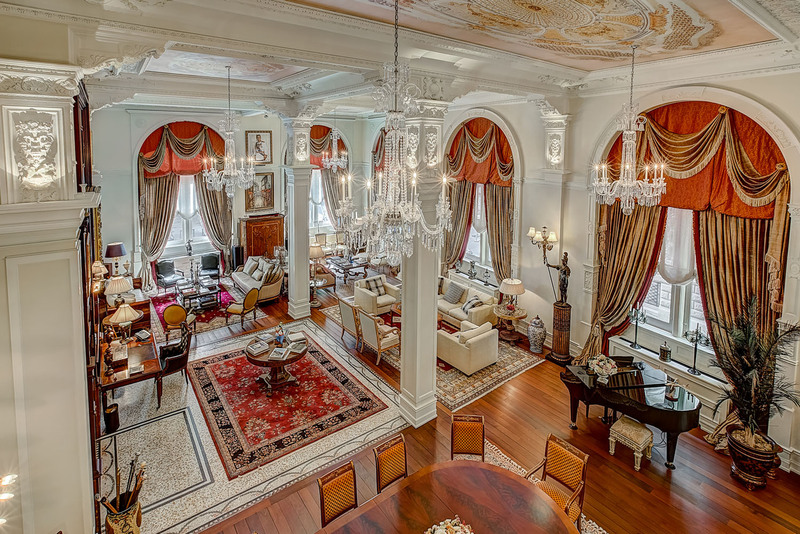 Located at the 1895 Canada Life Building in Montreal, Quebec, Canada, this elegant condominium features the finest in craftsman and artisanship. 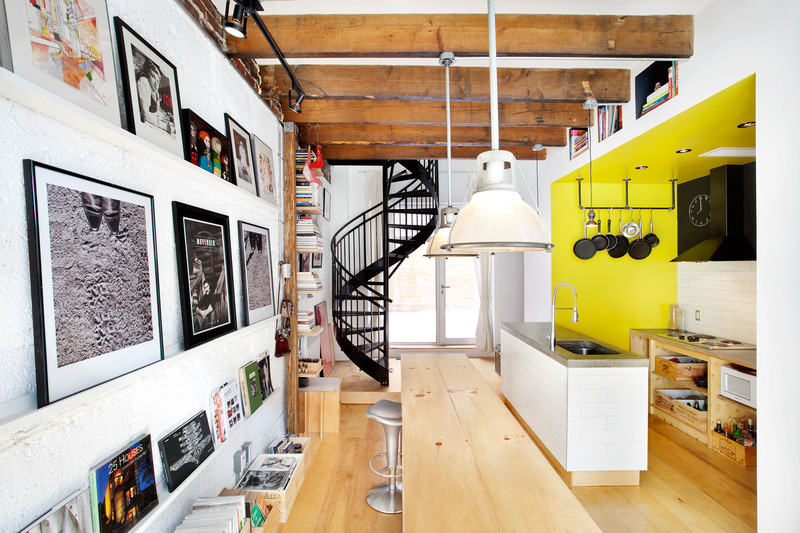 This unique private residence in the Verdun neighbourhood of Montreal, Quebec, Canada used to be a tire shop in a building originally constructed in 1920. The renovation of this modern home Prince Philip Residence in the Outremont area in Montreal, Quebec, Canada by Thellend Fortin Architectes features a spacious living room with a stunning fireplace wall and massive windows. Ecologia Montréal designed by Gervais Fortin located in Montreal, Quebec, Canada had the objective to reduce the ecological footprint. Local materials with little polluting elements are used. The house is built in insulating concrete forms. Part of the material used is constituted of 100% recycled materials. The concrete contains 39% of recycled materials. Custom-built on a sought-after street in Montreal, Quebec, Canada, this modern residence is a blend of traditional exterior and contemporary interiors. This unique home has been meticulously crafted with the finest materials. It offers everything you would look for in a luxury home from gourmet kitchen to wine cellar. 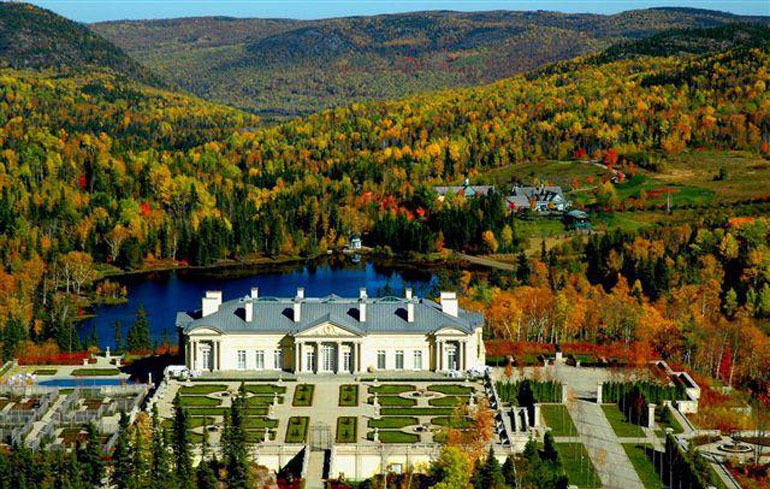 Canadian billionaire Paul Desmarais has a stunning property on 21,000 acres of land located in Sagard, in the heart of Charlevoix, Quebec, Canada. Inspired by the architecture of French royal estates before the Revolution, the luxury estate has beautiful formal gardens that remind one of the Palace of Versailles. 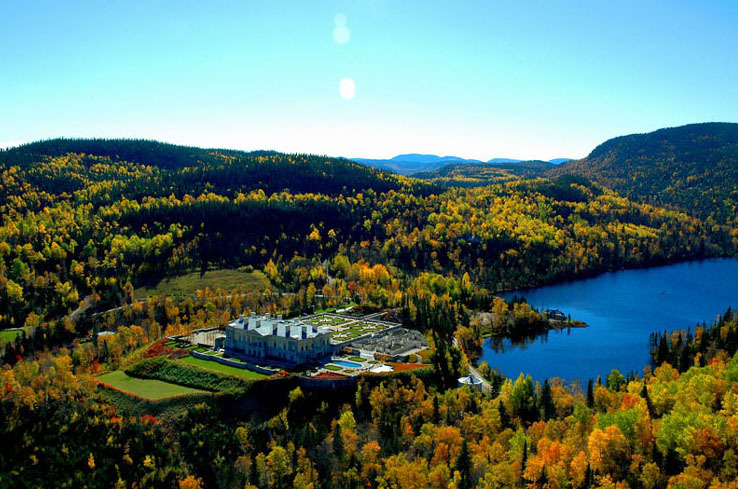 The estate also has a breathtaking view of the lake and the valley beyond.